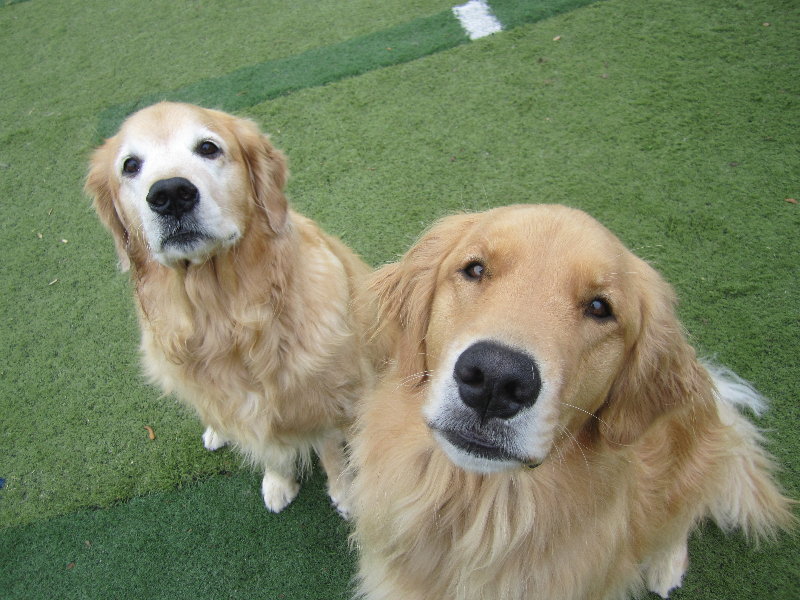 What is Doggie Day Camp? 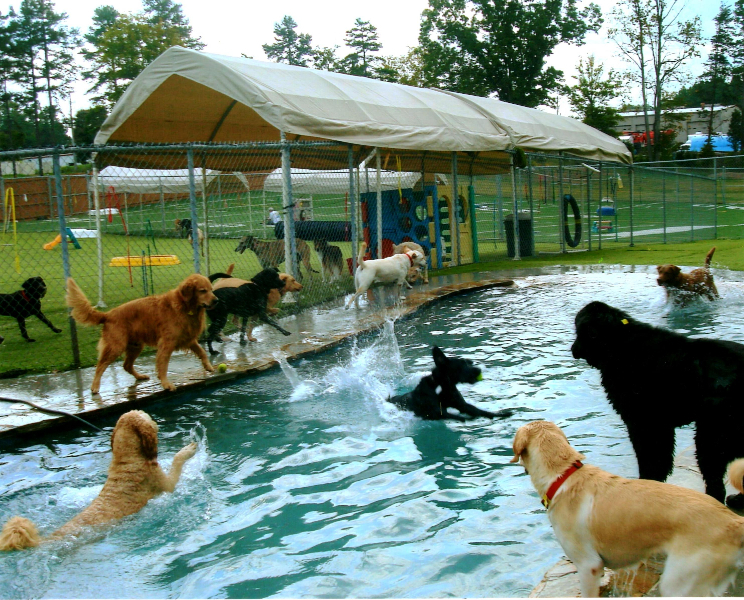 Day Camp provides an outlet for your dog’s natural instincts and energies in a safe, secure, climate controlled environment. 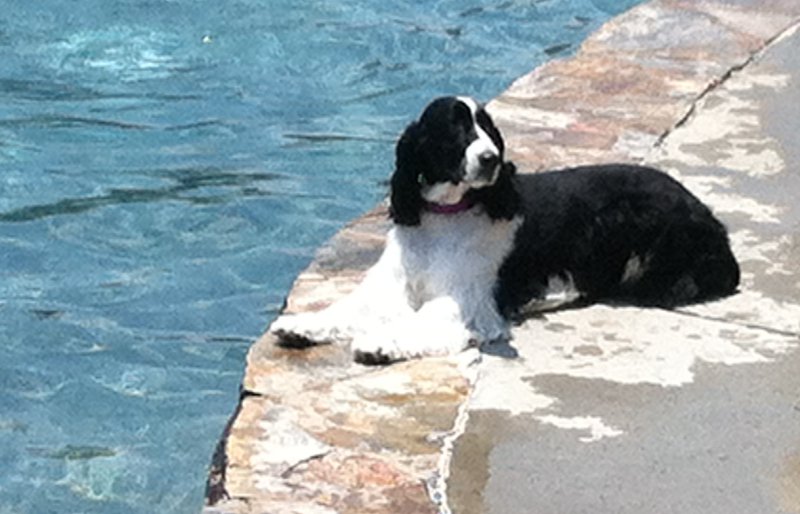 Your dog can play, romp, wrestle, chase, explore, run and jump. At the end of the day your dog will go home happy and tired. Dogs are social animals. They need and want interaction with other furry friends and other loving humans. After all, dogs are just kids with fur. Don’t leave your dog at home alone! Day Campers should arrive by 9AM. They are grouped according to size, activity levels, and age. There are different play areas that the Campers will explore during the day. There are several rest breaks, too. 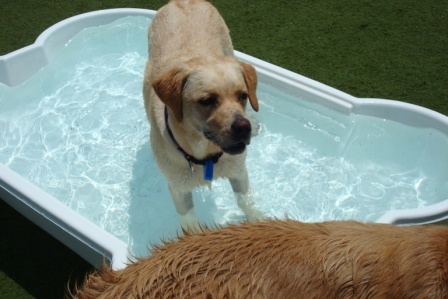 There are lots of Little Tykes toys, a bone shaped swimming pool and good buddies to run around and play with. Coming to Day Camp? Check out our CHECK-IN GUIDE. Guardians can come and pick up their camper up until 6:30PM during the week or between 3 PM and 5PM on weekends. No drop off or pick-up between 11AM and 1:30PM Monday through Friday and between 10AM and 3PM on Saturday and Sunday. Daycampers not picked up by the designated time will be put in a cabin for the night and will be charged the overnight fee in addition to the Daycamp fee.